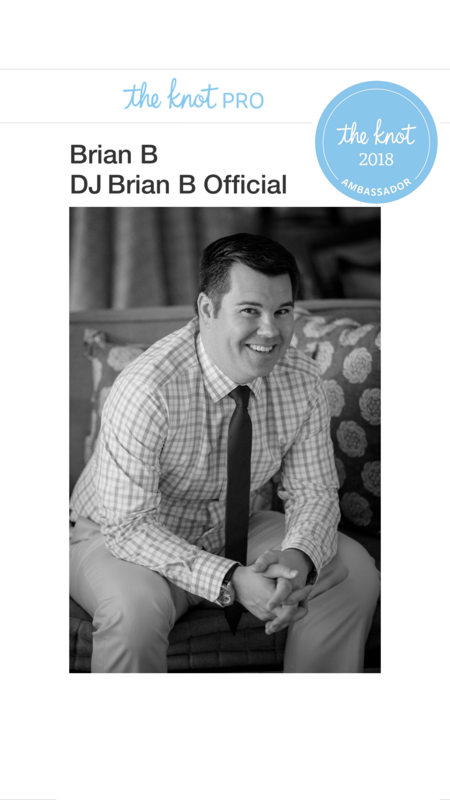 When the e-mail officially came across yesterday and the subject line read “DJ Brian B The Knot Pro Ambassador 2018”, I’m not going to lie, I stared at it for a few minutes. I was really moved by the recognition. My DJ journey has not been easy by any stretch. I’ve always held firm to the belief if I continually work hard with integrity, stay humble and look for every opportunity to be generous, that things will work themselves out. I’ve been in this game for a while and have taken note of those that have made it to the top. Those traits are in each of them. This validation – being picked as 1 of 25 wedding professionals out of the entire US – is a testament to the type of discipline it takes, the amazing clients who have entrusted me, professionals who have referred me and willingness to do it the right way. Shortcuts will only get you so far. To read the full article from The Knot, click here.